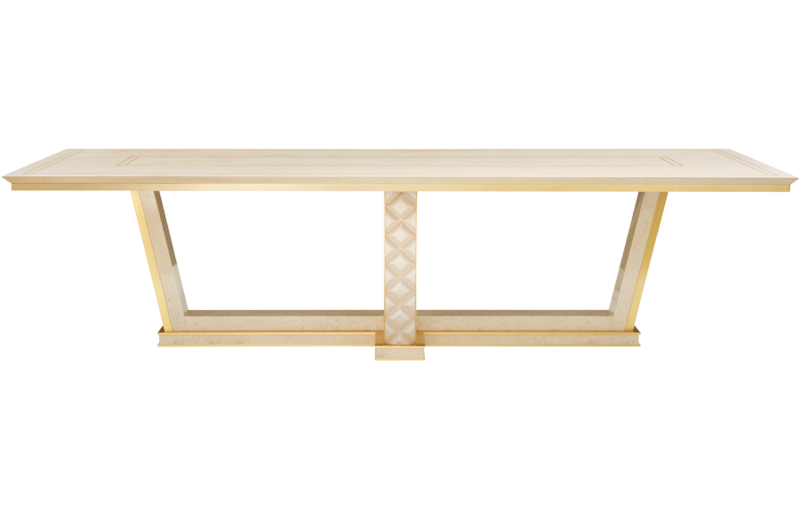 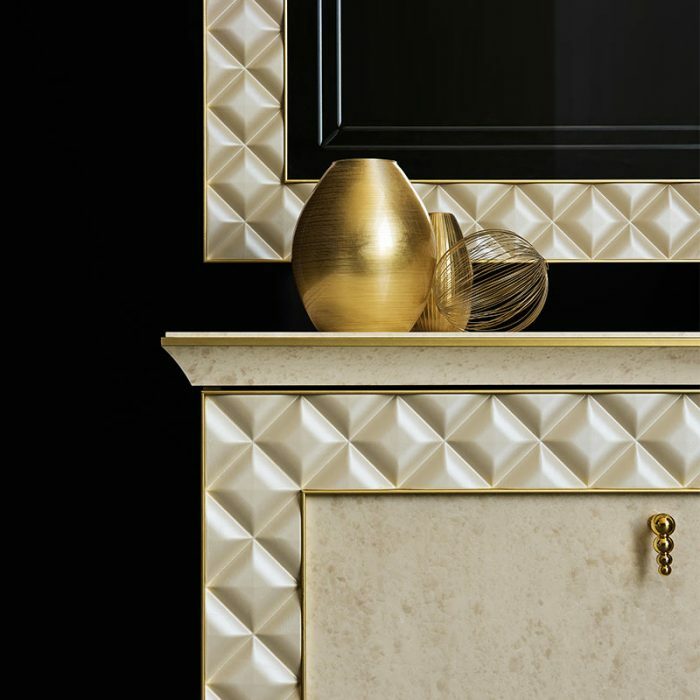 The sideboard from the Sipario collection stands out due to its minimalist and refined geometry. 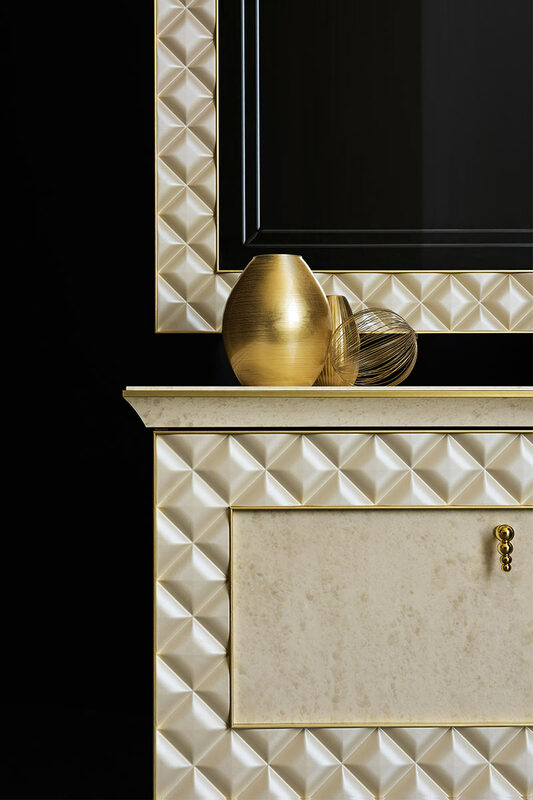 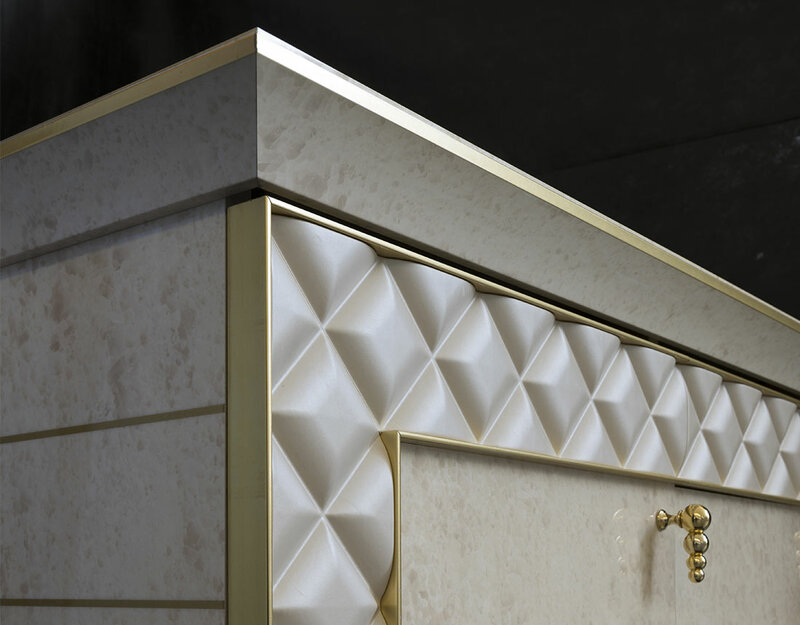 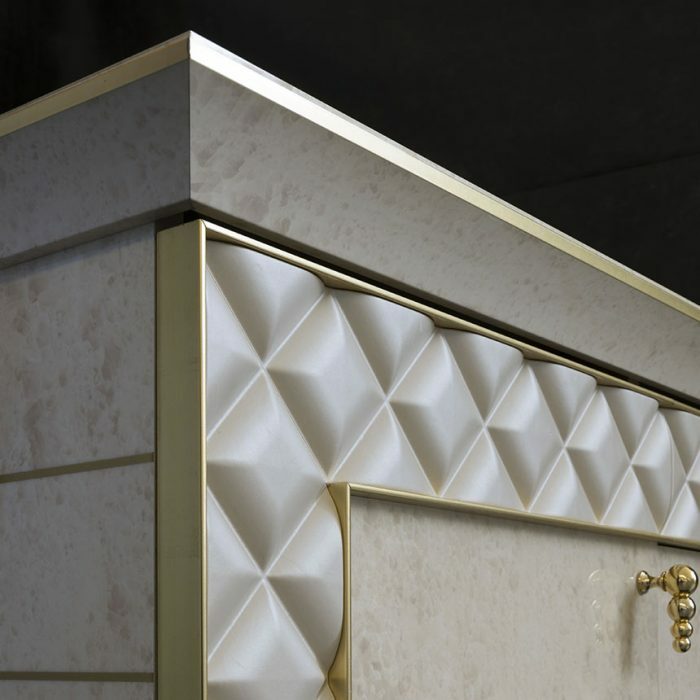 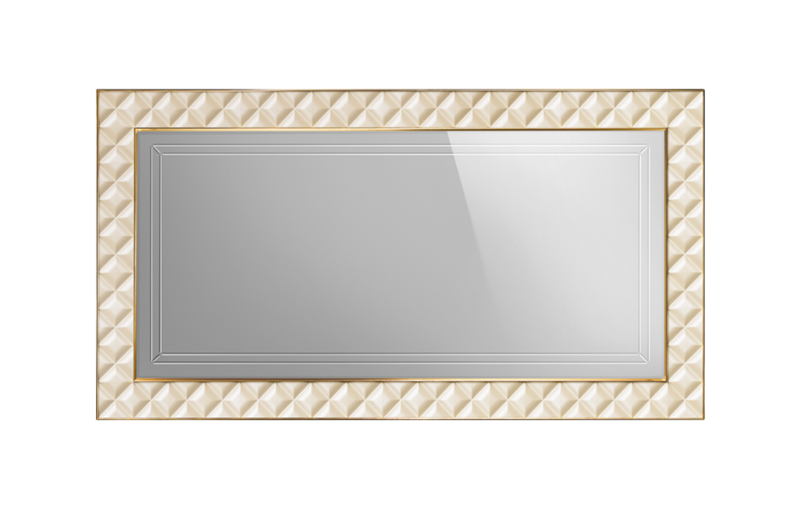 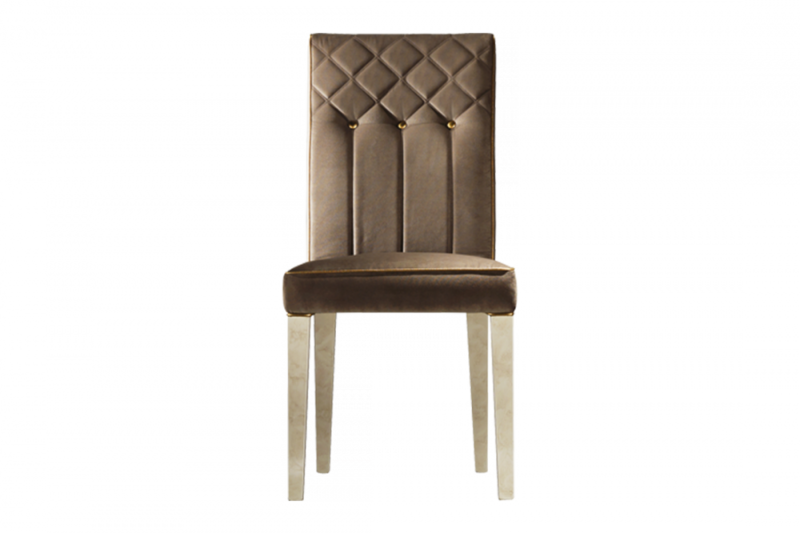 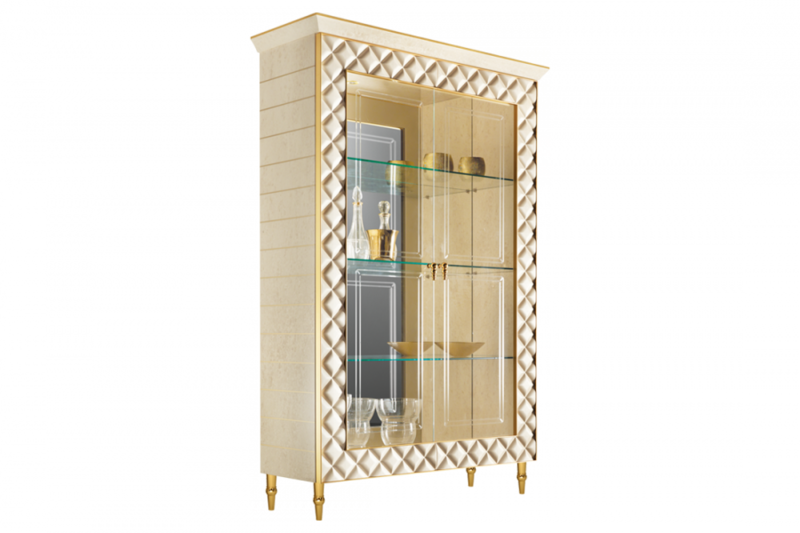 The parallelepiped form is embellished with luminous detailing, all enclosed by the framing of the capitonné design which recalls the forms of the entire collection. 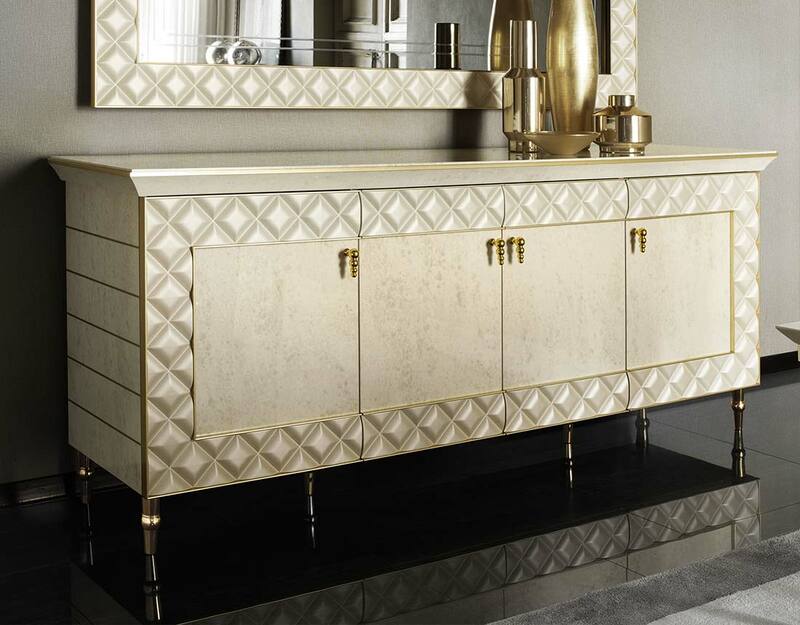 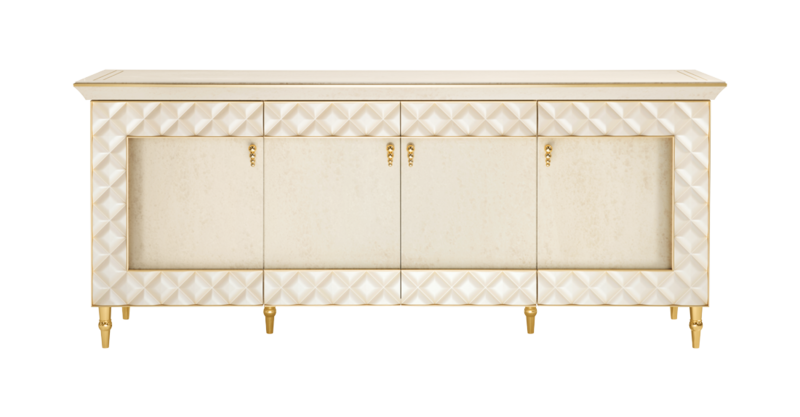 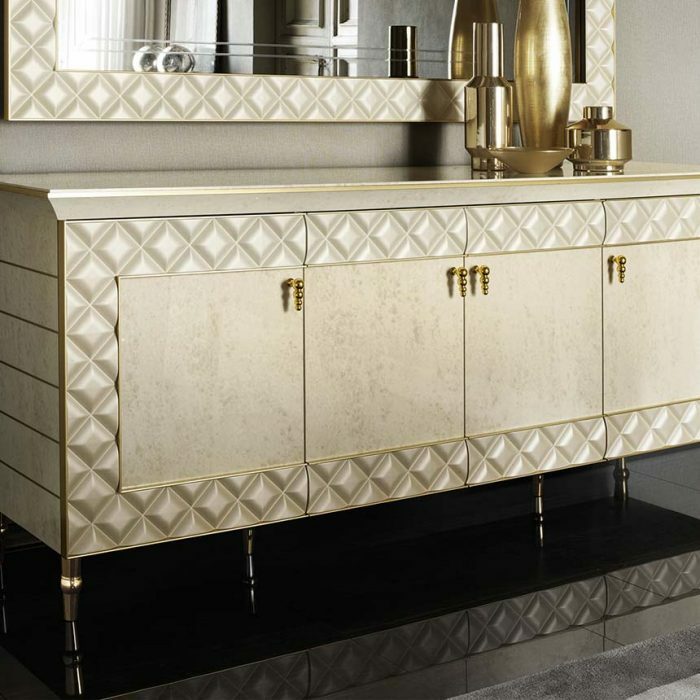 The gilt feet, with geometries reminiscent of the handles close to the central body, lift the volume whilst conferring a lightness and momentum.